On September 23rd, Mobile Care Chicago and Presence Health will launch a new mobile clinic called the “Children’s Health Van” to help low-income children receive access to an impressive range of medical services including immunizations and child physicals, in addition to Mobile Care’s existing specialty care for children with asthma and allergies. Nearly 15,000 children were kept out of CPS schools in 2014 because they were not compliant with state mandates, and nearly 45,000 children were in jeopardy of medical suspension. The gap in health care access is often due to the absence of a reliable Primary Care Provider (PCP), an issue which Presence Health can address. Presence Health will allow Mobile Care Chicago to make referrals to PCP’s inside of its service area, allowing the new Children’s Health Van to treat both the immediate need of the child and the systemic need for on-going access to a health care provider. The initial service range for the expansion will coincide with the service area for Presence Saints Mary and Elizabeth Medical Center. Mobile Care Chicago is a non-profit organization which provides no-cost medical and preventative care, education, and support to low-income children and families aboard mobile clinics. The organization maintains, in addition to the Children’s Health Van, an Asthma Van and two Dental Vans. 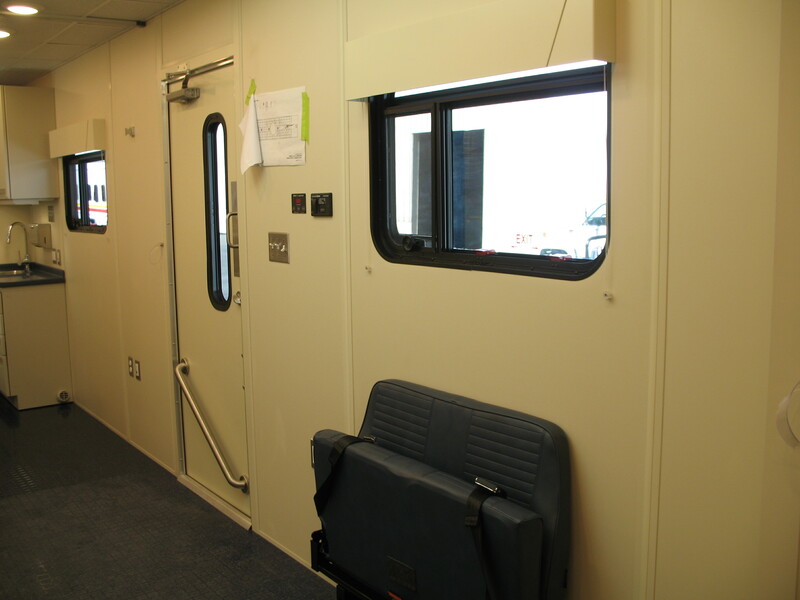 All told, Mobile Care Chicago’s clinics provide health care to over 5,000 children per year. Presence Health is the largest Catholic health system based in Illinois, offering more than 150 locations around the state. Presence Saints Mary and Elizabeth Medical Center has been delivering compassionate medical care for over 100 years, and now includes 500 physicians in 40 specialties. Now introducing Mobile Care Chicago! In conjunction with its 15th Anniversary, Mobile Care has decided to update its name—from Mobile C.A.R.E. Foundation to Mobile Care Chicago. Mobile Care, no matter the name, has always been an organization singularly focused on one thing: providing high quality medical care to children whom otherwise could not access it. Mobile Care does this through a mobile platform because it allows the organization to reach working families who can’t commute, and partner with schools where neighborhood kids can be easily treated without undue interruption of their school day. As such, the organization’s work is best expressed through Mobile Care Chicago, since it uses Mobile clinics to provide medical Care in Chicago. The old name, though near and dear, too often confused people with the word “Foundation”—a word which in 1998 was associated with any consortium working toward a common goal, but in contemporary parlance has a narrower “grantmaking” connotation that isn’t accurate for Mobile Care. So what do you think of the new name and logo? Feel free to let us know through our facebook page! And in the meantime, the staff will continue its work to bring medical care to Chicago’s low-income children. In other big news, we’re adding a second Dental Van! 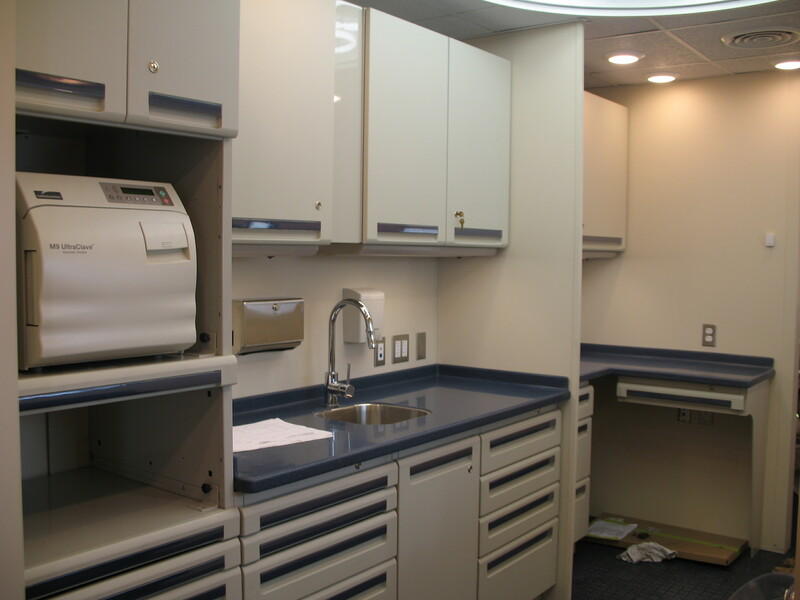 Mobile Care Chicago to Add Second Dental Van! Mobile Care Chicago is excited to announce the launch of its second mobile dental clinic, providing a no-cost dental home to low-income children throughout the city of Chicago. Beginning September 2015, the Dental Van will join a fleet of two Asthma Vans and the first Dental Van, launched less than one year ago. The Chicago Department of Public Health estimates that in 2014 over 80,000 children were in need of oral health care beyond the scope of Chicago’s Sealant Program, and, of those, 65,000 either could not or did not follow the referral to receive the recommended restorative care. Oral diseases, if left untreated, can lead to other serious medical conditions, including worsening asthma. Mobile Care’s first Dental Van, launched last summer, was the first comprehensive mobile dental clinic serving Chicago children. 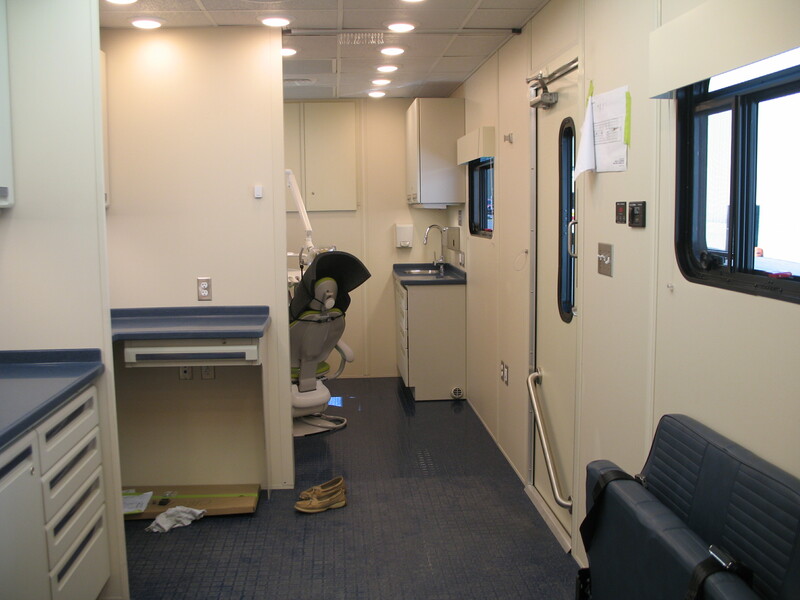 It is estimated that the two Dental Vans will serve 5,000 low-income children in the coming year. Want to know how we’re doing? Track the progress of our first Dental Van! 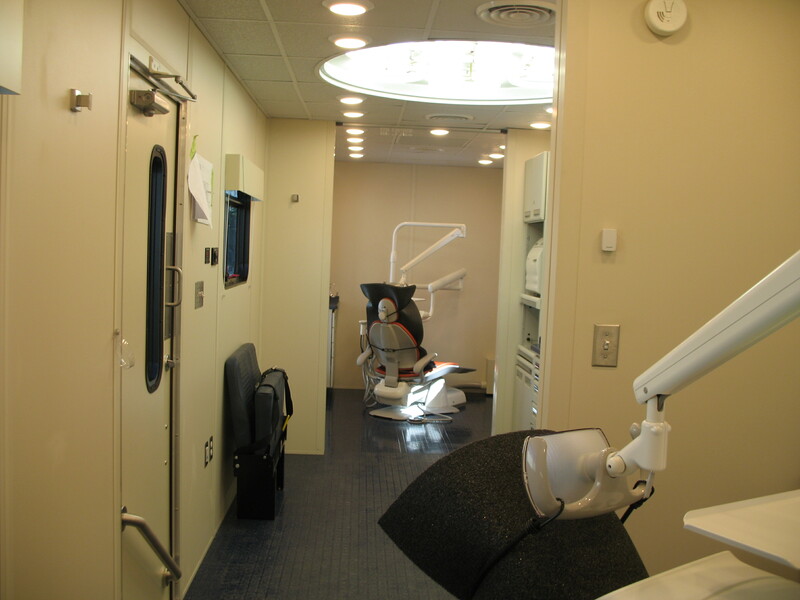 And you can see pictures of our Dental Van! Looking pretty nice, right? This Strike Out Asthma event as been 15 years in the making, and over that time 10,000 children have received necessary medical care. That certainly sounds like something worth celebrating! To help us ring in another 15 years of mobile clinics, we want you to be a part of the festivities. Tickets are now on sale and for a limited time, we will be knocking $25 off of the ticket price! Strike Out Asthma will be an event to remember, with plenty of chances to win great prizes, bowl with Chicago celebrities, and take a tour of Mobile Care’s brand new Dental Van! For information about sponsorships, contact Matt Siemer at msiemer@mobilecarefoundation.org or download our sponsorship package. The Dental Van at Six Months: How Have We Done? Today is World Oral Health Day, and also happens to mark the sixth month that our Dental Van has been providing services. World Oral Health Day is set aside every year to promote awareness of good oral hygiene. 90% of the world’s population will suffer from oral disease in their lifetime, and 42% of Chicagoans suffer from inadequate dental care. Indeed, 65,000 Chicago children went without urgently needed oral procedures last year, either because of prohibitive cost or lack of access. So what’s our Dental Van up to? Glad you asked! Our Dental Van is committed to doubling these results over the next three months. If you’re interested, you can help. For each $160 we receive, we can provide a quality dental home for another child. See our Race to 2500 page to learn more. And let’s share those smiles! Join the Race to 2500, and commit to providing 2,500 children with quality oral health care. Meet Mobile Care’s Dentist extraordinaire, Dr. Watson! Now that the secret is out about our new Dental Van we’d like to get you up to speed on some of the finer points of the program. Let’s start by introducing you to our dentist, Dr. Joseph Watson. And for our young patients feeling nervous about their first trip to the Dental Van, don’t worry. Dr. Watson promised “no shots or drilling at the first appointment!” You hold him to that! You heard it straight from Dr. Watson himself: seeing a dentist regularly is important for good health. Can you help us send low income children to see Dr. Watson? Help us reach our goal through the Race to 2500!